"Fully Loaded” is putting it mildly. 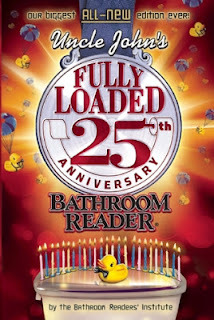 This behemoth of a book is overflowing with the incredible stories, surprising facts, weird news, little-known origins, forgotten history, fun wordplay, and everything else that millions of loyal fans have come to expect from world’s best-selling bathroom reading series. 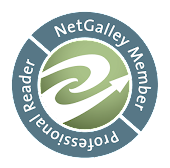 As always, it’s divided by length: quickies for the reader on the go, medium-sized articles for those with a few minutes to spare, and extra-long pieces for those truly leg-numbing experiences. I have caught bits and pieces of older versions of the Bathroom Reader so I knew that I was in for a treat with this edition. I just love the wide varieties of stories and facts. Oh and dividing them by length is a pure stroke of genius. Regardless of the name, I have caught myself reading when I am stuck in a slow moving line or waiting in a doctor's office. I think that this book is well worth picking up for anyone but especially if you are addicted to the written word. I myself have even been known to read cereal boxes when bored. I rate this book a 4.3.